In that column, inspired by the Dan and Teena Finn family, I recollected a story of taking my baby sister to see the movie ET. I seem to remember bringing up the theme song, too. At least one reader took the column to heart and well . . . let him tell you his random act of kindness story. I keep wanting it to be “Sid and Nancy,” but I’ll have to settle for Don. Apparently, I have a smidgen of masochistic tendencies because now that damn E.T. song is noggin-looping. 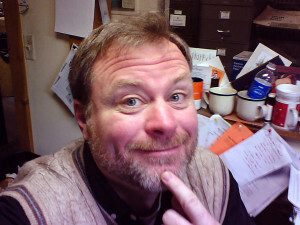 My office colleagues surely assume I’m contemplating cost margins, or when the last brew of coffee occurred, but in actuality I am flipping the heartlight switch on to see a happy glow. Over-and-over. Don, I think I hate you for this. But, in (heart) light of the random acts of kindness request, I will forgive you for plaguing my brain with Neil Diamond. And on that topic, forgiveness is my small tribute to the Finns. Back in May of this year, a coworker was evidently in a doosey of a mood. I schlepped by her as I usually do, and made some throwaway comment without much thought. Nothing to be construed as negative, something about food I believe. She abruptly, and loudly snapped at me citing that she was too busy for my stupid comments. Yikes! I had thought of her as part of my fraternity in the trenches prior, but now I was embarrassed, and a little hurt. So, I did what most chip-on-the-shoulder people do, and went into “you’re dead to me” mode. For 7 months I avoided her. And, when we did pass in the hallway I pretended to get a call, or shoe-gaze. But, today was the day I gulped pride, and purposely walked past her simply to say, “good morning” in her general direction. She looked up from her desk, probably pretending to work as her avoidance technique, and said, “morning” back to me. Even with a slight smile. So it’s done; one random act of kindness in the books for this guy. Two if you count that I am forgiving you for reminding me to phone home with a freakishly long finger. Enjoy the holidays, don’t die, and drink plenty of fluids if you get sick. People say that. — Matt B.
Christmas Elf Bill, from Orion, called my from the North pole. He, like many has heard of radio stations pulling from their musical rotations the song, “Baby, It’s Cold Outside” because the male singer is not taking “no” for answer from the female singer. Bill the Elf is worried the “Looking To Be Aggrieved”, #MeToo, buzz kill, Politically Correct crowd is sucking all the fun out of everything. 1. 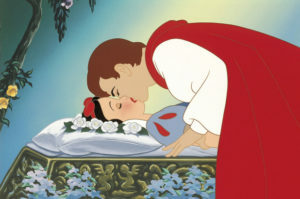 A change to the movie Snow White’s ending? As it is now, Prince Charming kisses a sleeping Snow White — definitely an assault as she was unconscious and offered no consent to said kiss. 2. 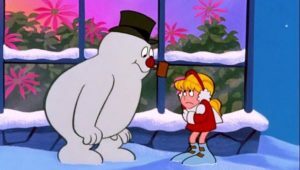 TV stations never to air Frosty The Snowman again, because this white guy, who smokes a pipe and wears no pants likes to play with kids? 3. TV stations never again to air Rudolph The Red-nosed Reindeer, because the adults are all bullies? 4. 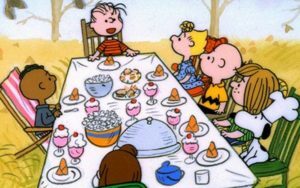 All Peanuts (Charlie Brown, Snoopy, etc) specials to be shelved for lack of ethnic diversity among the gang? 5. Mariah Carey’s Christmas song, “All I want for Christmas is you” also to be pulled from radio stations because the song implies a woman cannot get along without a man? Has the world lost its collective mind? This column will first be published on Dec. 12, which means there are 13 days until Christmas — and gives me enough time to challenge you. For the next 13 days, once a day find something good to talk about. Instead of looking to be offended, find something that makes you smile. Make a habit of looking for virtue, versus adding to vitriolic chatter. Instead of getting upset at a song on the radio, when you hear it, turn the station. If you don’t like a TV show, change the station. If you don’t like a particular opinion, or column, instead of “hating” the writer, turn the page. This is the season to actively, earnestly and with your heart look for the good in things. I am not saying ignore obvious slights to humanity, just — for the next 13 days — find something good and contemplate on it. I’ve heard it takes 13 days to break a habit, so let’s break the habit of being offended and replace it with one of gratitude. 1, 2, 3 and GO!